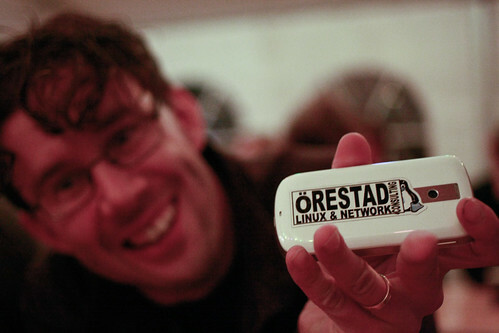 Patrik Gullstrand is the CEO of Skåne's leading open source- and linux company: Örestad Linux. He lives in Södervidinge outside Kävlinge outside Lund outside Malmö outside Copenhagen with wife and (very soon) 2 kids. And yes, he has a real garage! We're working on a project called Startup Garage. This project is in itself larger than a 24 hour project but we will build and (hopefully) launch a sub-project during the time at Hasseludden. The working name is: RateMyPitch. So, what is Startup Garage? We think this is a site people like the members of 24hbc will love. It's a site for people who want to take their ideas to the next level. In our roadmap are "demo days" in front of investors and a 3 months long camp (think: 24hbc stretched out to 3 months). For that last one we need money, though. So, any investors reading this: contact us at erik _at_ startupgarage.se or find us somewhere at Hasseludden next week. We need your help to make our little garage as great as we think it can be. A big Happy Hacking to everyone else! See you next week. Updated: We're on Twitter: Erik, Patrik, the garage.